GALACTICA! CONVENTIONS! FRAK! SO SAY WE ALL! This episode, we discuss Battlestar Galactica, the Sci-Fi Channel Original Series. Kosh finally watched it all, and now we’re discussing it top to bottom. We also talk about C2E2 and other conventions, plus Geek Love. We are back after a startlingly short amount of time with part two of our two-part battle royale between science fiction and science fact. “Doctor Rachel” returns with more smart-people talk that Kosh doesn’t understand, and Raven probably says inappropriate things at some point. Also, Kosh references Empty Nest, for all you fans of Golden Girls spin-offs. Part One of our two-part discussion about actual science versus science fiction. What do some shows get right? What do most shows get wrong? Special Guest “Doctor Rachel” joins us in the terminal as our science expert, being an actual Scientist! Raven talks about The Particle Play, too. 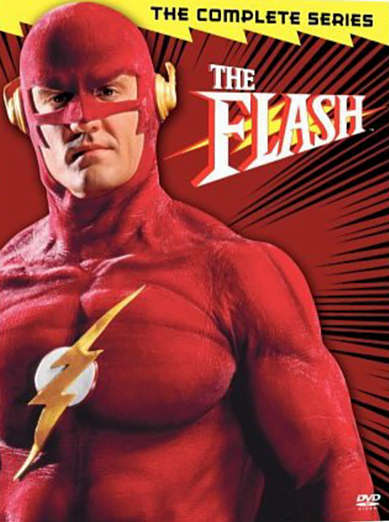 Time to flashback to the early 90’s as we discuss the single season television series The Flash, based on the DC comics superhero. Bring a map, as we head into a high-tangent area.